Warbling Vireos are not much to see. They are bland little birds hidden in the trees, only given away by their loud song, most easily remembered by deploying the phrase that caterpillars dread. Even their scientific name is rather boring. 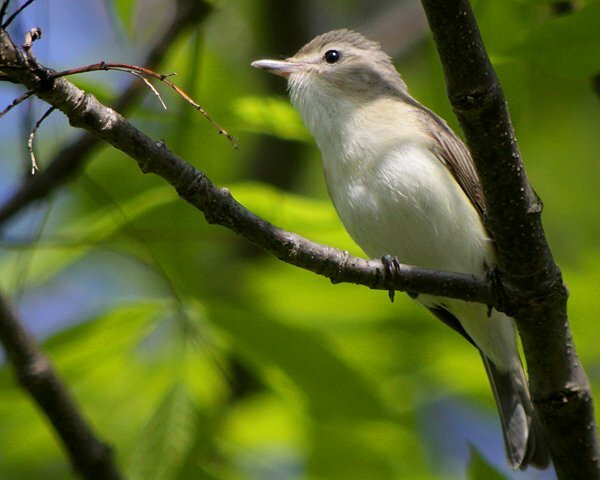 Vireo gilvus translates to cream-colored vireo which, while accurate, is hardly the type of name that will get birders interested in seeing one. 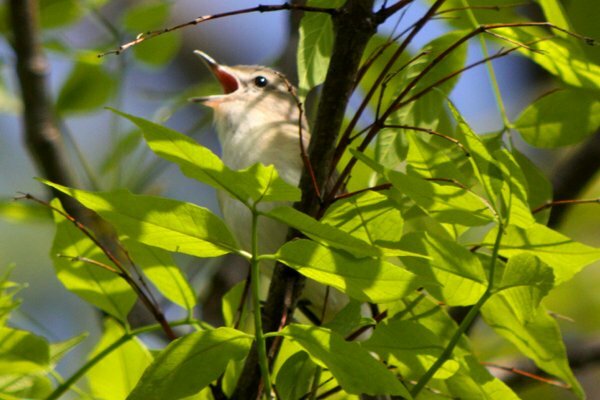 In fact, the main point of Warbling Vireos seems to be providing a tabula rasa onto which birders can project their wish of seeing a Philadelphia Vireo. 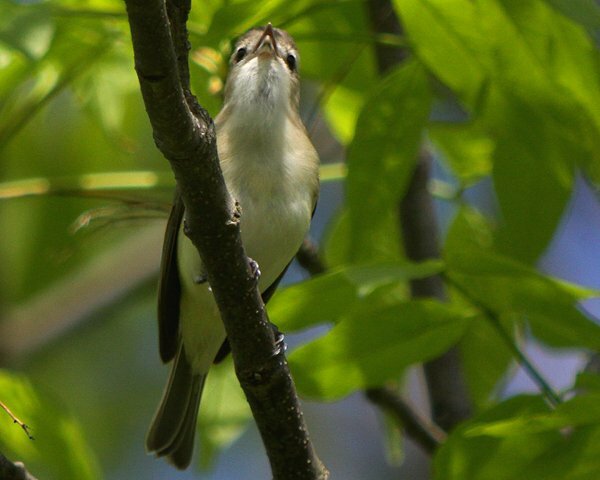 Warbling Vireos are found breeding in open deciduous woods, often riparian, across Mexico, the United States, and southern Canada. 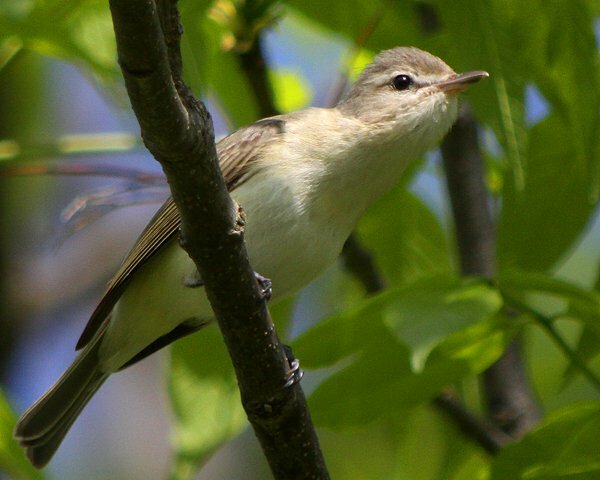 Their fondness for open woods means that they often adapt well to breeding in parks and it was Van Saun Park in New Jersey’s Bergen County that I found the individual shown in this blog post. Some think that the three western subspecies – V. g. swainsonii, V. g. brewsteri, and V. g. victoriae – should be split from the nominate and renamed Western Warbling Vireo, Vireo swainsonii, but that seems like split-happy overkill to this birder who is, admittedly, woefully lacking in experience with the western birds. 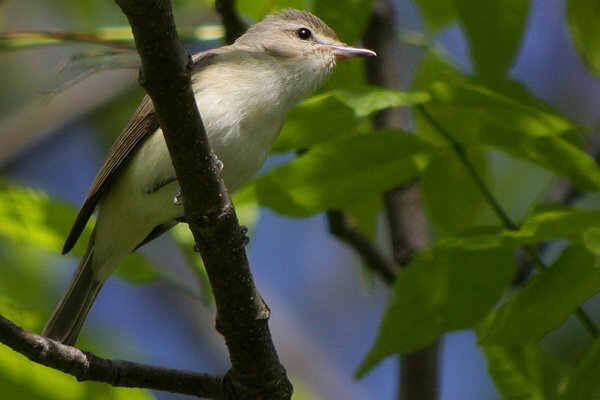 The Warbling Vireo is a Species of Least Concern according to BirdLife International because of its huge range and large and increasing population. Good news for birders but bad news for caterpillars!